Many people choose a mover based on price. The lowest offer may not be the most reputable or reliable moving company and that could lead to delays, breakages, overcharges, and other unpleasant surprises. 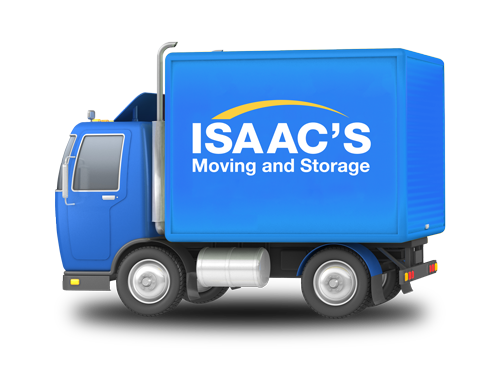 We recommend you take a number of other factors into consideration when you make your choice of mover. Use a company that has been in business for some time and that are well known in the area. A company with a good reputation may not be the cheapest, but there’s a reason for that, their reputation comes from good work and satisfied customers. ProMover is a consumer protection and certification program that takes the worry and the hassle out of moving by helping consumers identify quality professional movers. AMSA is the national trade association for the professional moving industry. The RIM program has established universal standards for international moving companies and their personnel, raising their overall level of professionalism and performance. FIDI is a global alliance of professional international moving and relocation companies, specializing in moving household goods and personal effects from one country to another. Do you know anyone who has used a mover recently? Try to get at least two references to a particular mover to ensure consistency. Anyone can have a good or bad experience with a move so one reference is usually not reliable. Ask all movers that give you a recent, written references. The BBB is a private organization that mediates disagreements between businesses and consumers. They can be a good resource to measure a moving company’s reputation. The BBB can be contacted to find out how many complaints have been filed against the company, and if those complaints have been resolved. Then, compare the number of complaints with the number of moves performed per year. For example, a mover that does 5,000 moves a year is bound to have more complaints than a mover that does 500. The mark of a good company is a low ratio of complaints filed verse the number of moves performed. A professional moving company will provide a detailed quotation and may send someone out to see your location and household content to make sure their quote covers everything. They will have a number you can call with questions, a coordinator to schedule the move with and will show up on time with a full professional looking moving crew. Check online reviews to make sure the mover you pick has a good record. A licensed mover is sanctioned by certain state or federal agencies, and has basic qualifications for operating a moving company. State agencies regulate local moves, while the Department of Transportation (DOT) regulates interstate moves. A mover should be able to provide a number, either in its advertisement or over the phone, which certifies that it is licensed. A best deal is no bargain if your assets are not covered by insurance. Situations can arise that are beyond our control, so for your protection we suggest that you insure your goods for the shipment. Licensed movers are required to provide limited liability coverage at no additional cost. You can always purchase additional coverage for an extra premium. Licensed movers are also required to have workman’s compensation insurance for their movers. Failure to hire a company with this insurance could mean liability on your part for injuries a mover suffers on the job.